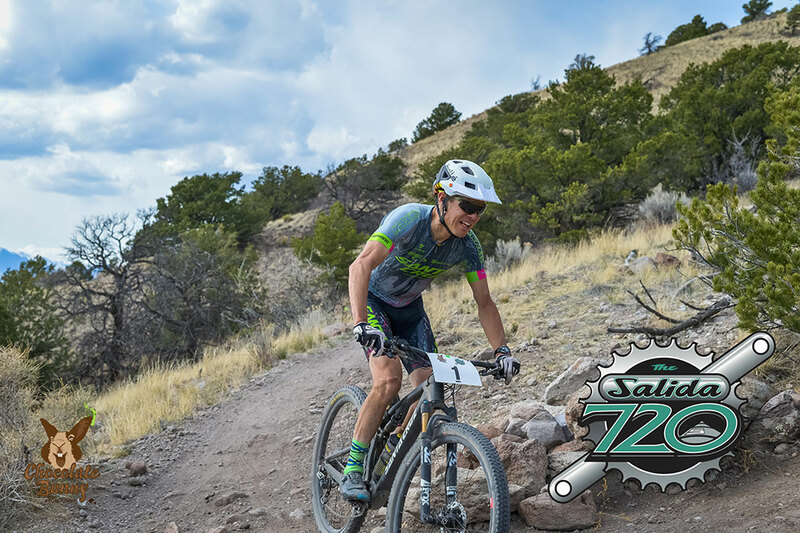 The Salida 720 is a new 12 hour race this year, put on by Chocolate Bunny Productions and takes place in the S-Mountain trail network in Salida, Co. The course is 14.6 miles long starting and ending in downtown Salida. The start of the course is a 15 minute road climb up to North Backbone trail, NB is a mix of technical to flowy single track with short climbing and descending throughout. After NB the course climbs CR 173 for a mile or so then descends on the very chunky and challenging Sand Dunes trail, SD is about as technical as you will see at any XC race anywhere and would challenge even the most skilled trail rider. After Sand Dunes it’s back onto Back Bone trail for more flow and technical riding, then onto Sweet Dreams and finishes on Chicken Dinner for some fast, flowy bermed out goodness! The course then traverses on CR 177 back to town for a mile or so and into the Boathouse restaurant and through the bar to finish the lap. Living in Fairplay, CO, I’m in close proximity to several almost year round mountain biking destinations. Salida being one of them. It’s less than an hour from my house I end up riding there a lot in the fall, winter, and spring. 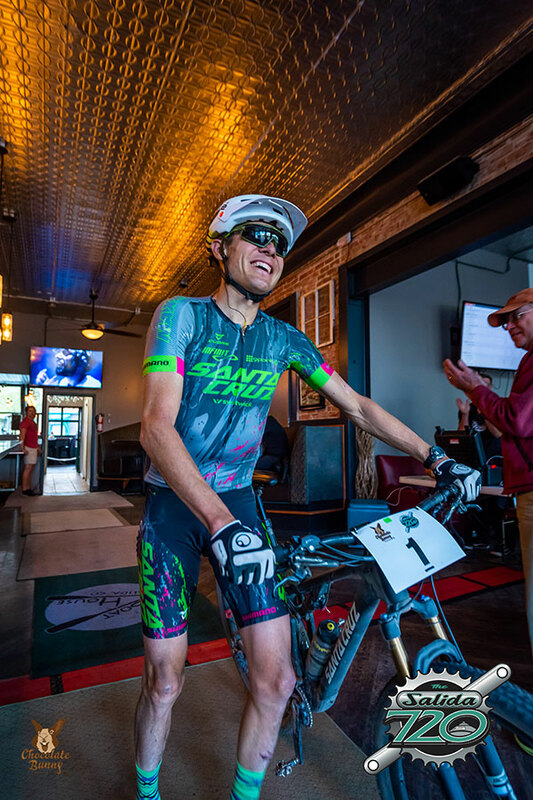 I am very familiar with trails and riding in the area and jumped at the chance to race on the great trail system at S-mountain. 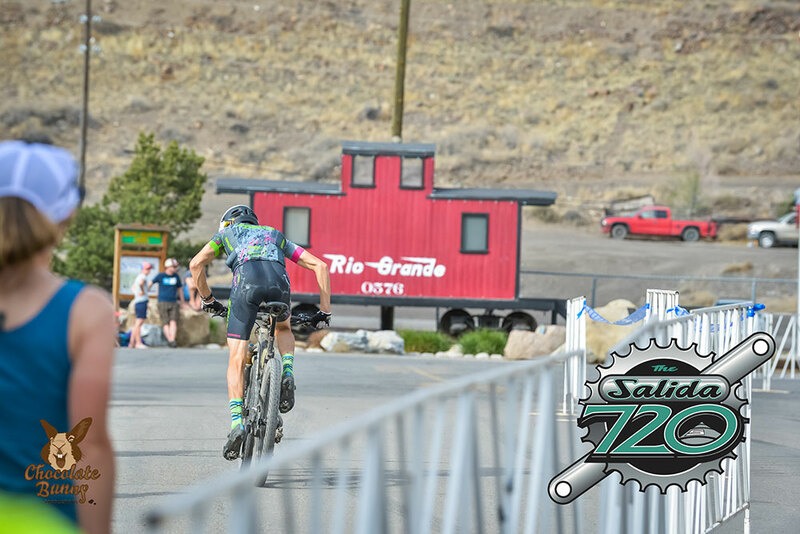 I was a bit nervous about how I would feel after racing 130+ miles two week prior, but I figured it would be great training and I felt like I had put the work in, so it would be a fun day of riding either way. I had been waiting on a couple of parts to complete the build on my new Santa Cruz Blur and now that I had it built up, I was excited to test it out on a very difficult course. The race started with a short running start, I got to the front pretty quickly and started up the road for the first of many climbs. The new Blur comes with a dual suspension lock out, that at first, I wasn’t to stoked about, but after using it in just one race I’m sold on the concept. It was amazing to fully lock the bike out for the road climb without even looking down then unlock it just as quickly for the trail riding. The locked-out Blur feels like a road bike when riding on pavement and dirt roads and has just enough give for rougher dirt to keep you comfortable. I felt good on the first climb with some team and duo guys just in front, I didn’t want to push too hard on the first couple laps but wanted to keep the pace high. 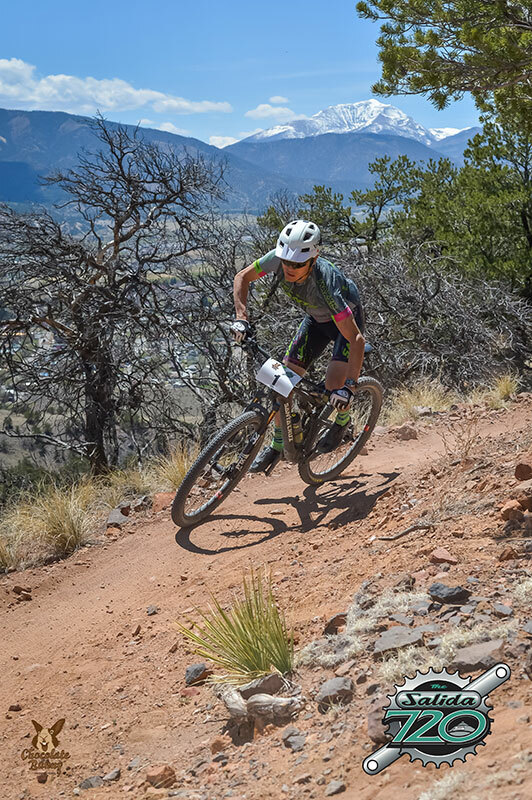 I jumped in behind duo racer Ben Parman and we kind of yo-yoed back and forth for the first lap, I would catch him on the technical and downhill sections and then he would climb just a bit faster than me. It was nice to rally with someone early in the race and I definitely had a good time on the first of many laps. I felt good for the majority of the race and the Blur was amazing and incredibly versatile! I had very stiff competition for this race in the way of David Krimstock, who I knew he would be charging the entire race and never give up. I have the edge on him on the trail and he has the edge on me with with speed so I had to stay on the gas all day to stay ahead. I was able to push most of the day and was gaining a couple minutes each lap but the course was definitely taking a toll on me and by the last couple laps I was hitting a wall pretty hard. I had a good lead towards the end but you never know what can happen, so I just gave it everything I had even though I felt like I was going backwards. I ended up getting the win just a few minutes ahead of David, every year I get a little older and the kids that I race against come in younger! I just have to go out and do the best that I can do every time and that’s all I could do in this race. I ended up at 130 miles in 11 hours 34 minutes and was pretty happy with the effort that I was able to put out, maybe a little tired at the end but If you’re not tired after 260 miles of racing in 3 weeks then you’re not human.